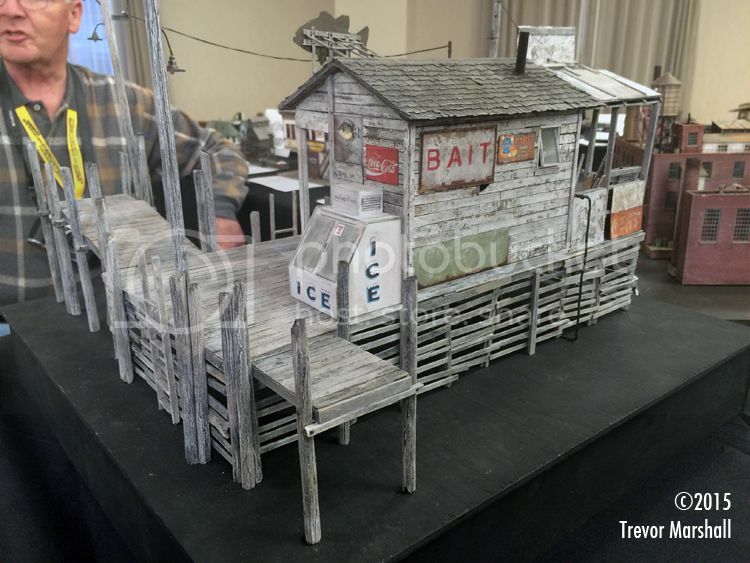 This exquisite structure was built by Don Railton – and yesterday, I had the opportunity to host Don for some future segments of The BackShop Clinic on TrainMasters TV. Don is an amazing modeller – check Google Images or Don’s Facebook page for the evidence. What’s more, he’s an absolute gentleman. We had a great time and I’m so glad Barry Silverthorn invited me to host these clinics. I’m looking forward to the segments, too! This entry was posted in Beyond Port Rowan in S, TrainMastersTV by Trevor. Bookmark the permalink.